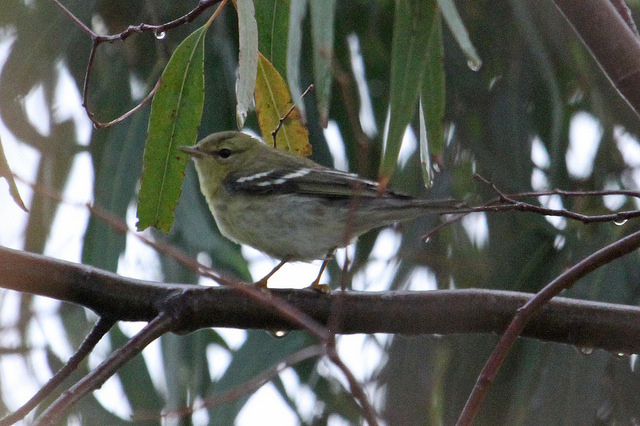 The Blackpoll Warbler is a breeding bird of North America. It hibernates in southern areas. 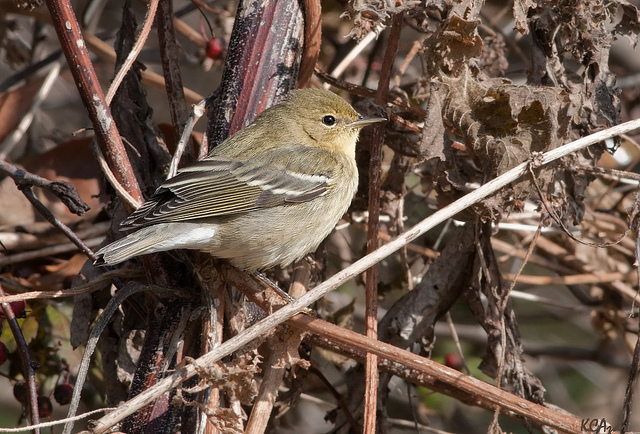 The male is in summer black and white with a black head, the female turns yellow-green.